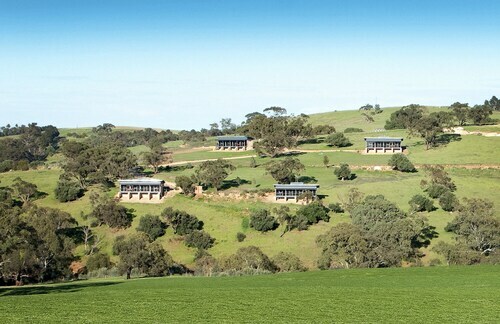 Situated in a rural location, this hotel is 0.3 mi (0.4 km) from Barossa Chateau and 1.3 mi (2.2 km) from Chateau Yaldara. Tanunda Pines Golf Club and Jacob's Creek Vineyards are also within 6 mi (10 km). Situated on a river, this luxury cottage is within 1 mi (2 km) of Chateau Yaldara and Barossa Chateau. Hentley Farm and Tanunda Pines Golf Club are also within 9 mi (15 km). Situated in a rural location, this romantic bed & breakfast is 0.4 mi (0.6 km) from Chateau Yaldara and within 9 mi (15 km) of Hentley Farm and Whispering Wall. Seppeltsfield and Charles Melton are also within 9 mi (15 km). 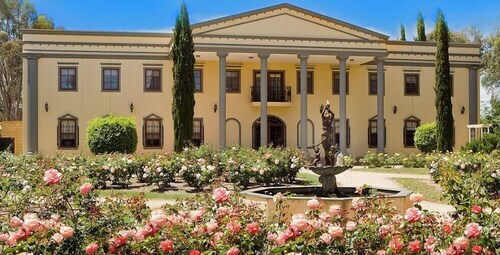 Situated in Lyndoch, this luxury vacation home is within 1 mi (2 km) of Barossa Chateau and Chateau Yaldara. Tanunda Pines Golf Club and Jacob's Creek Vineyards are also within 9 mi (15 km). 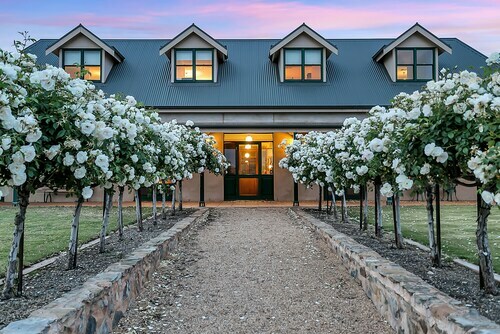 Situated in Lyndoch, this luxury cottage is 0.4 mi (0.7 km) from Barossa Chateau and 1.5 mi (2.4 km) from Chateau Yaldara. Tanunda Pines Golf Club and Jacob's Creek Vineyards are also within 6 mi (10 km). 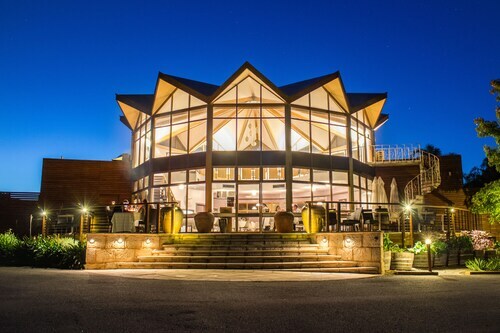 Chasing a Barossa Valley stay? Spend some time in its oldest suburb – Lyndoch! You’ll be right in the heart of wine country and close to Barossa attractions like vineyards, nature walks and art galleries. 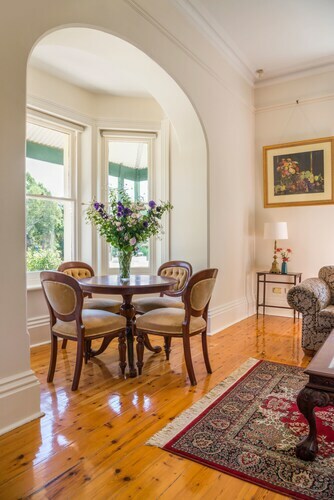 Book your Lyndoch hotel with us to stay in this charming small town, which is surrounded by an amazing valley. Lyndoch was one of the first towns in South Australia. Colonel Light explored the area in 1837, coming across a valley he named Lynedoch Vale after his good friend Lord Lynedoch. Somewhere along the line, there was a spelling mistake in the name ‘Lynedoch’ and nobody got around to correcting it. Now the town has a population of about 1,500. And since it’s only a one-hour drive from Adelaide, you don’t have to go far for a piece of that Barossa action. A walk through one of Lyndoch’s peaceful tree-lined streets like Barossa Valley Way will take you past parks with hill views and into friendly local shops. It’s perfect for an afternoon walk! Feeling the need to be heard? Seven kilometres from Lyndoch is the Whispering Wall at Barossa Reservoir, one of SA’s most unique attractions. The retaining wall of the reservoir, it’s famous for its special power: words that you whisper on one side can clearly be heard over 100m away on the other. This is due to something called ‘the parabola effect’, which is hard to explain but certainly nothing to shout about. The rest of the Barossa has heaps of great activities too, from awesome wineries and food to bushland tracks perfect for walking and cycling to fantastic art galleries like the Barossa Regional Gallery in Tanunda. If you’re ready for whispers, wine and a wonderful time, book your Lyndoch accommodation with us for a stay in the Barossa. It’ll drive you to drink in the best possible way! If you aren’t a local, don’t forget to book flights to Adelaide too! How Much is a Hotel Room in Lyndoch? 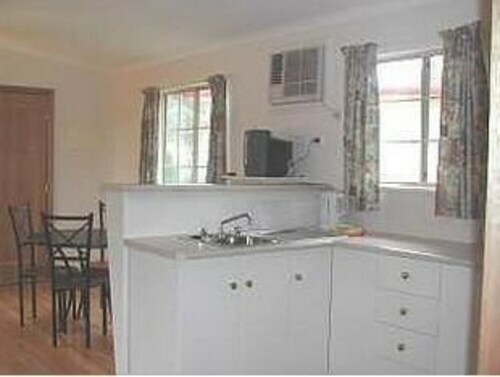 Hotels in Lyndoch start at AU$100 per night. Prices and availability subject to change. Additional terms may apply.